Apress is a publishing company devoted to meeting the needs of programmers and IT professionals. Apress includes hundreds of developer titles, covering SQL, Java, .NET and much more. Click here for a list of new Apress book titles. 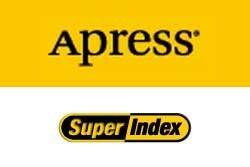 For more information on Apress, please visit www.apress.com.